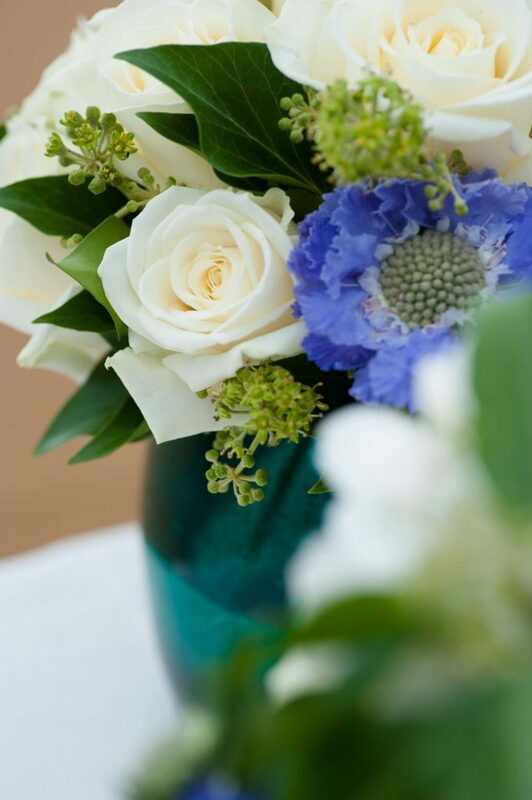 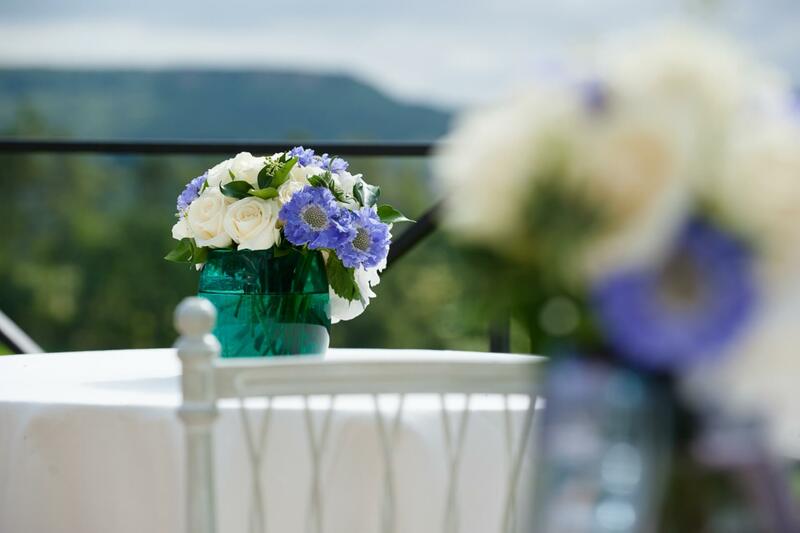 There is something about a wedding in the beautiful Yorkshire countryside and this garden paradise certainly didn’t disappoint. 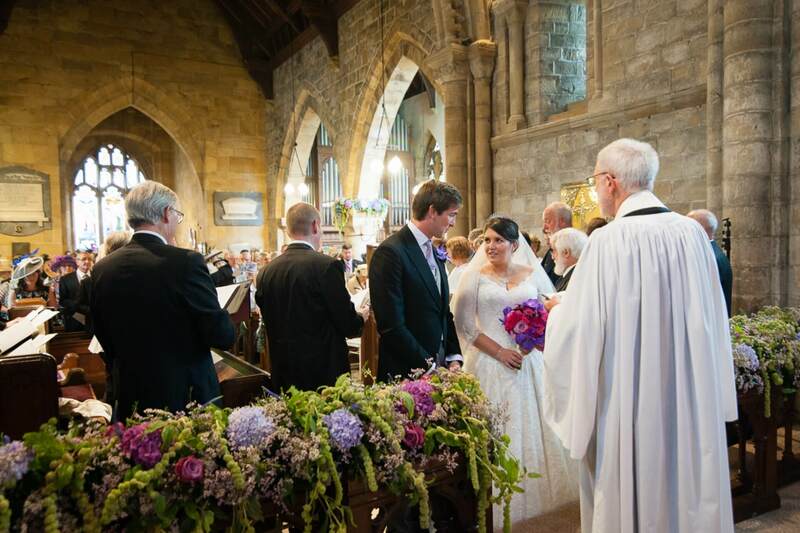 In the small market town of Thirsk, North Yorkshire this vivacious couple exchanged vows surrounded by their closest family and friends in an intimate ceremony at the local church. 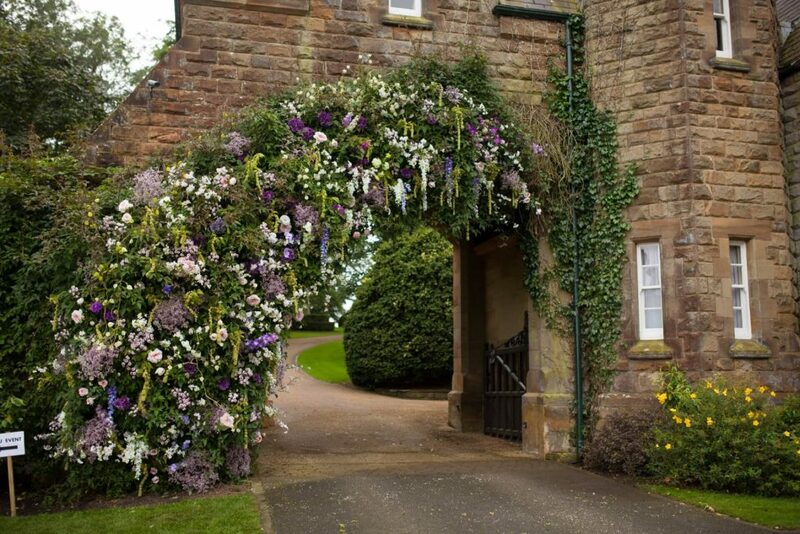 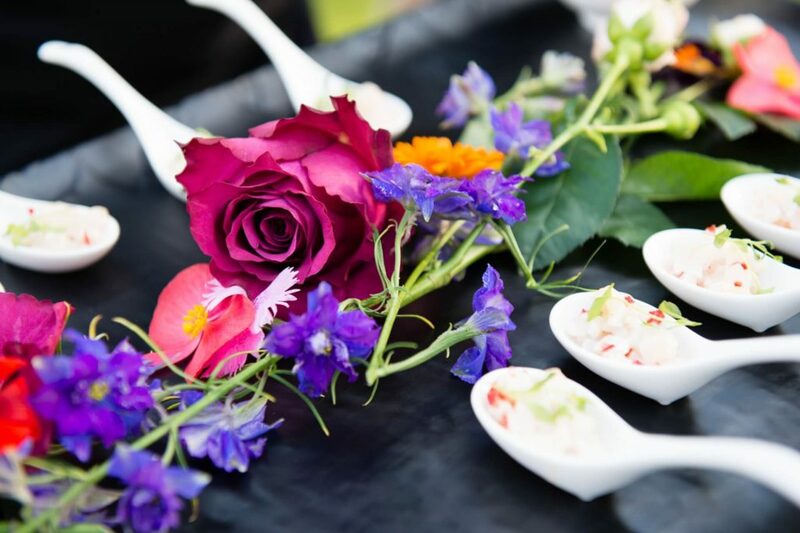 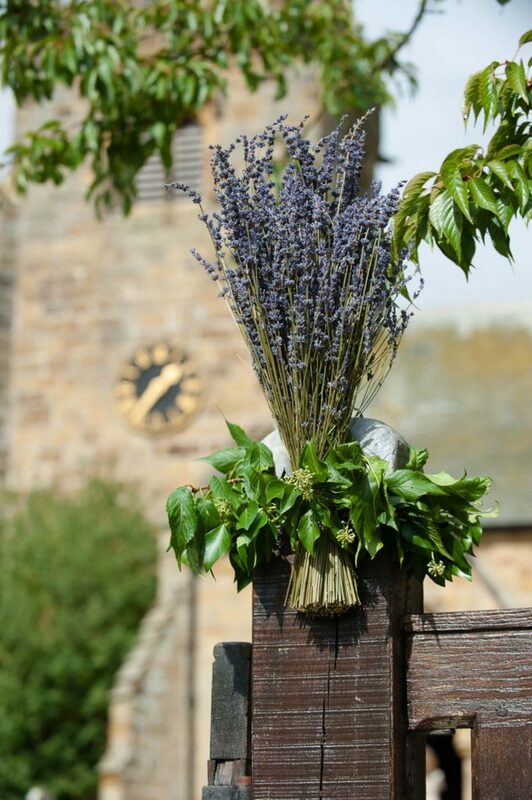 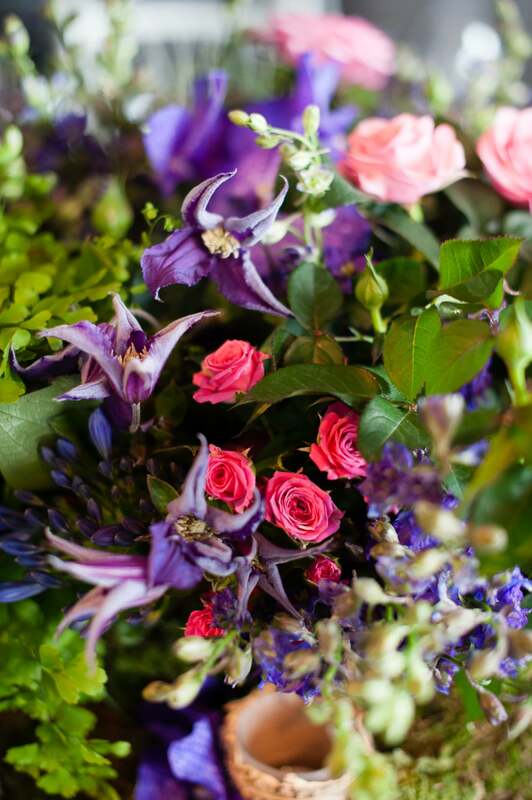 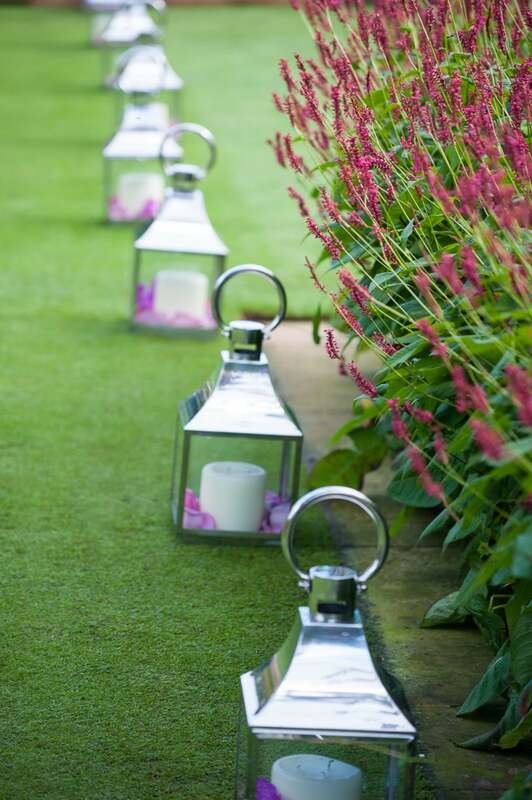 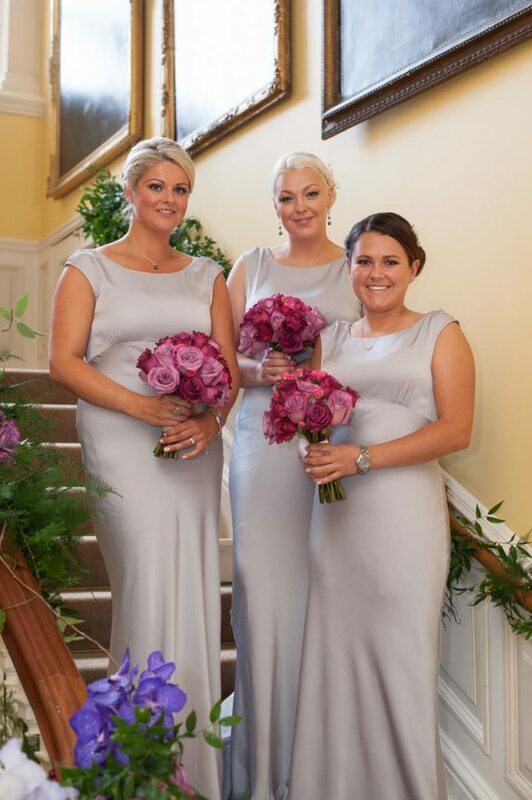 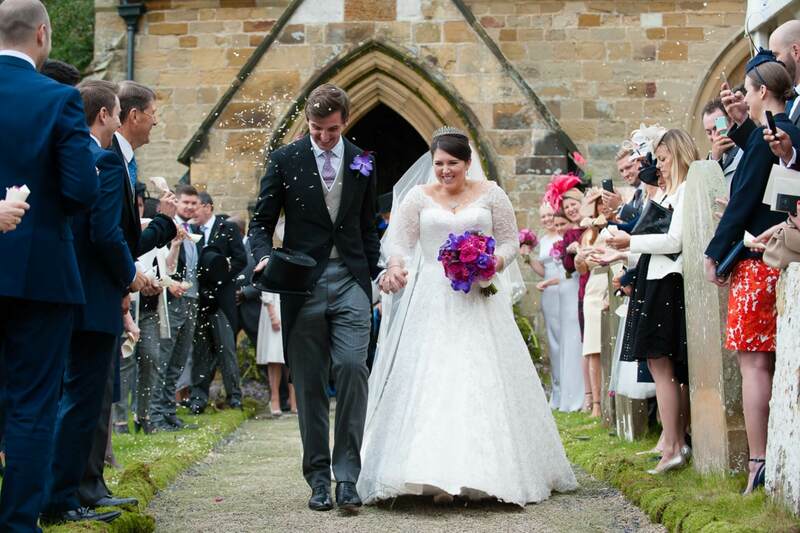 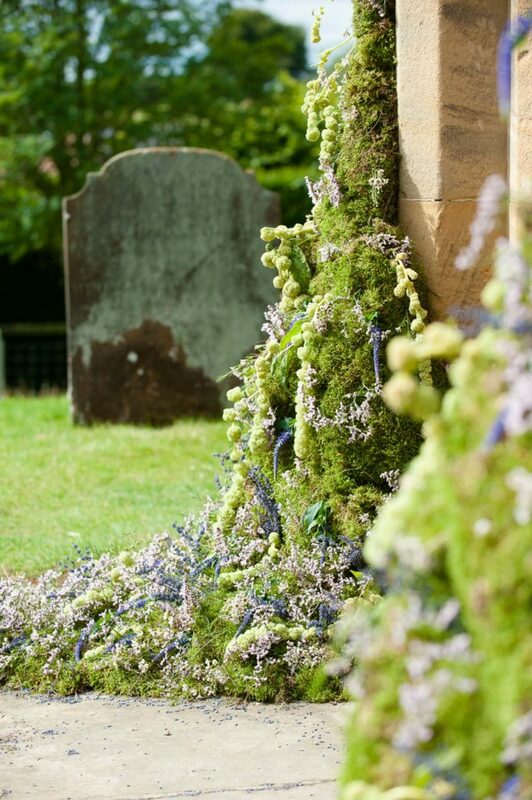 The brief for this exquisite wedding was simply ‘bring the outside in’, this began with a crushed lavender aisle running the length of the path leading into the church itself, ensuring our gorgeous couple and their guests were shrouded in the sweet aroma. 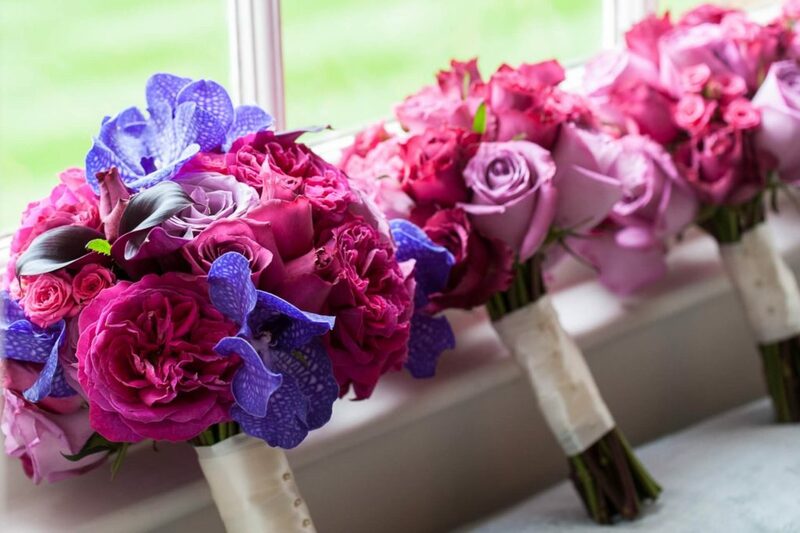 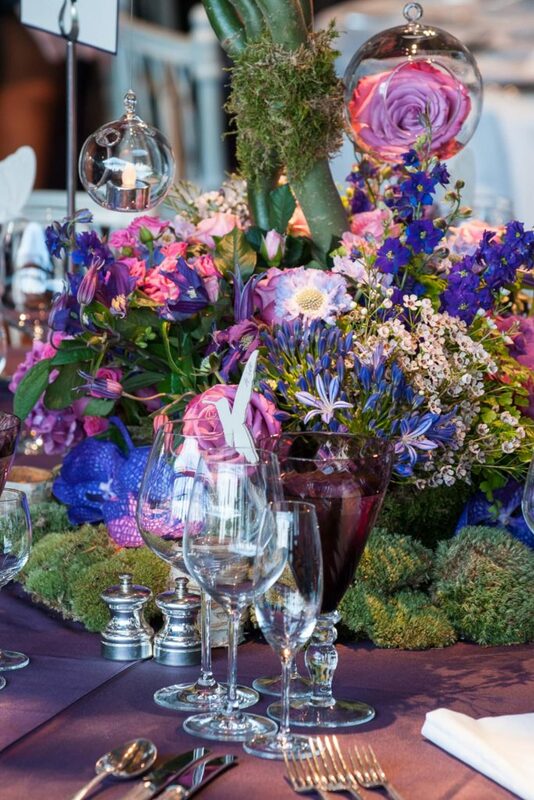 The theme continued through into the church, with pew ends and altar rails of Veronica, Lavender, cerise roses and tumbling foliage, before rolling on to the private house reception. 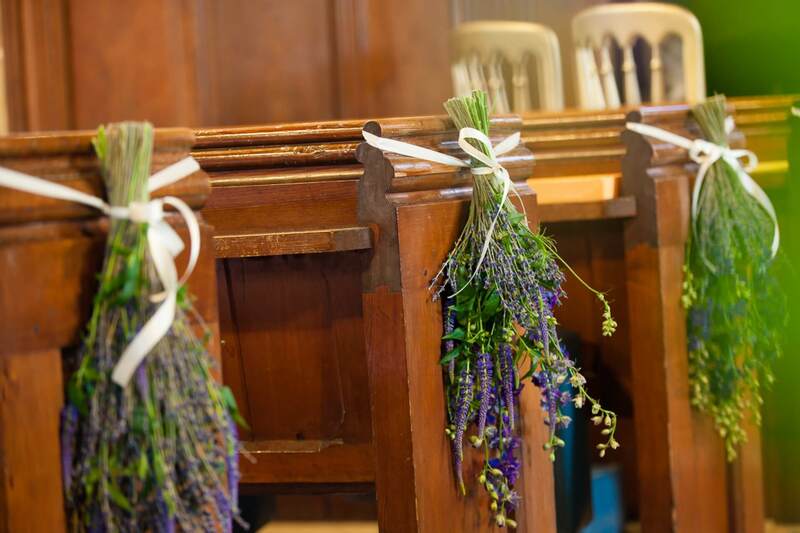 The theme continued through into the church, with pew ends and alter rails of Veronica, Lavender, cerise roses and tumbling foliage, before rolling on to the private house reception. 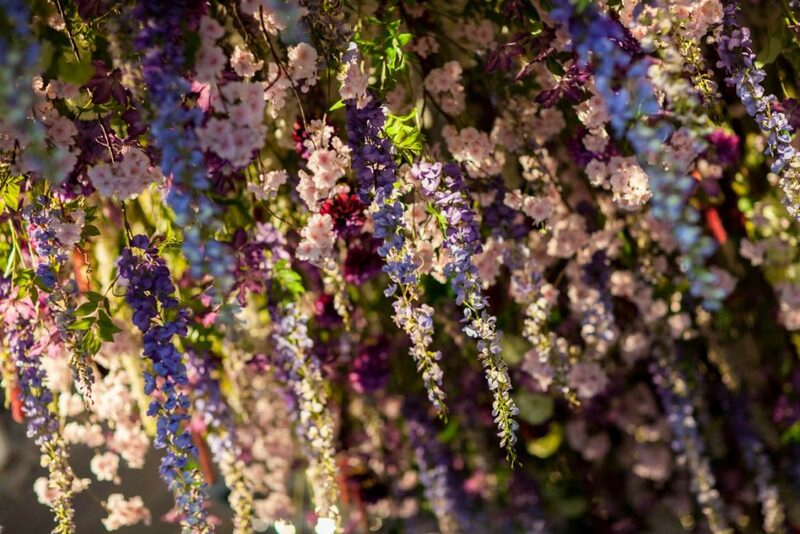 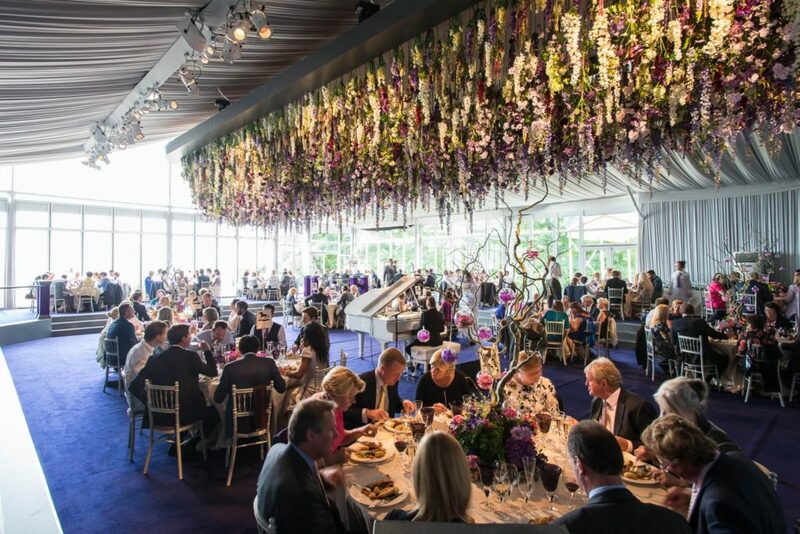 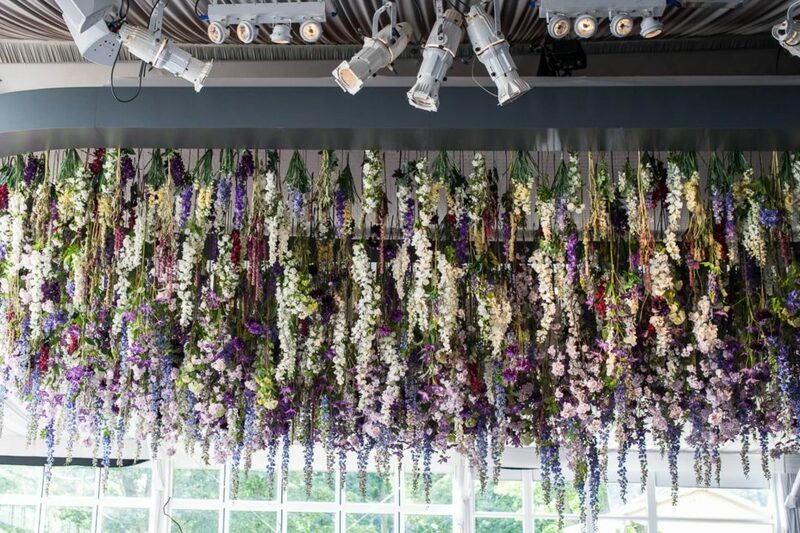 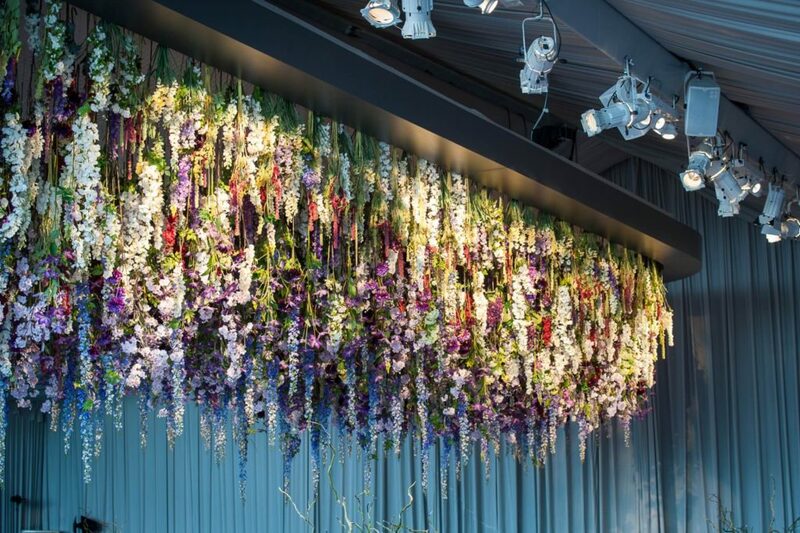 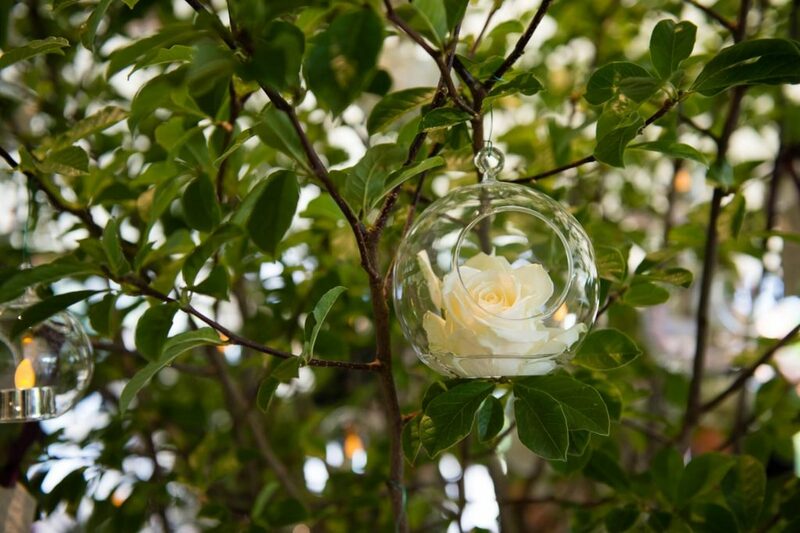 The wedding breakfast was held in an enormous glass marquee in the grounds of the couple’s own home and was accentuated by the installation of a 15 x 5 meter flower ceiling. 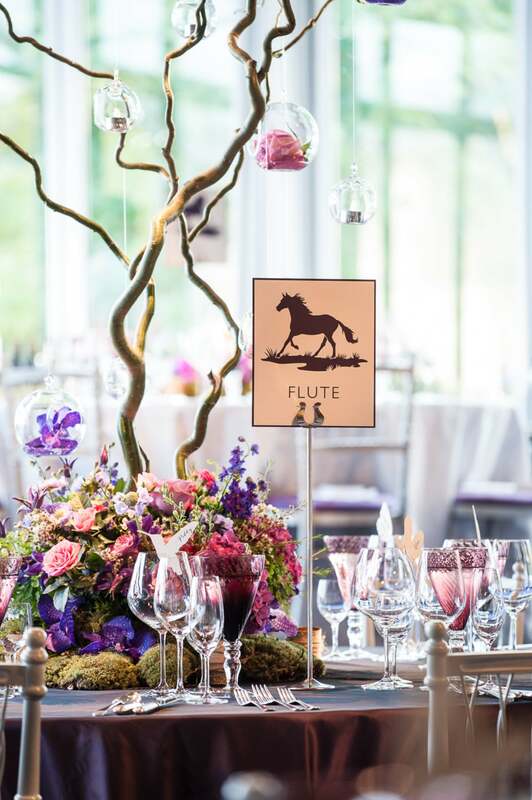 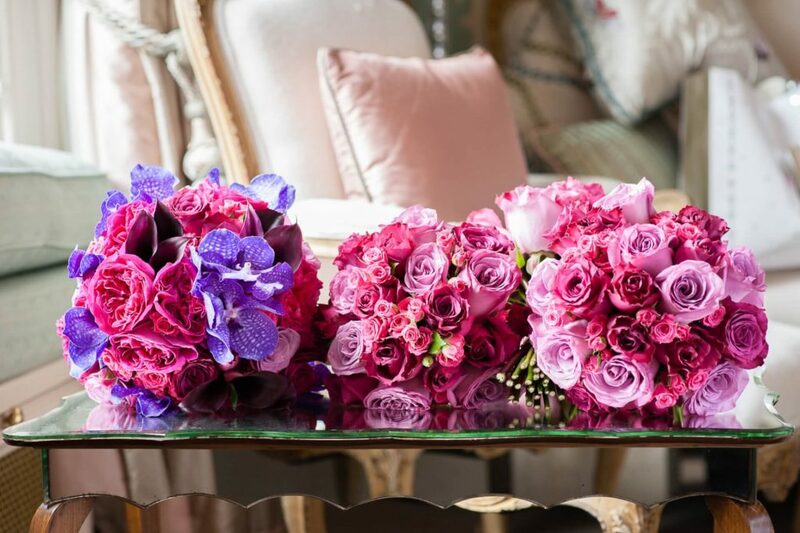 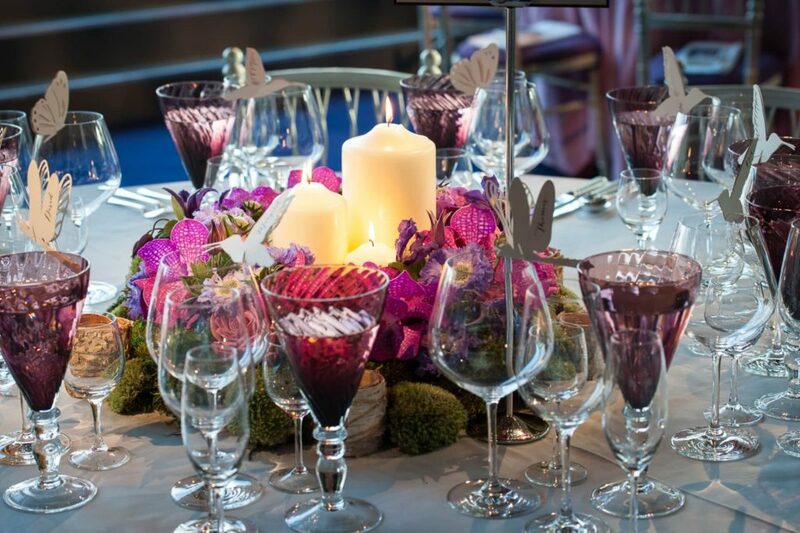 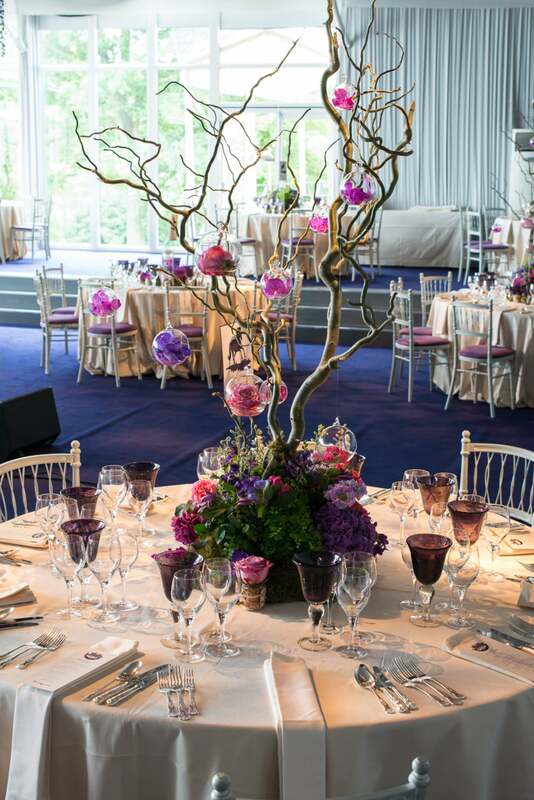 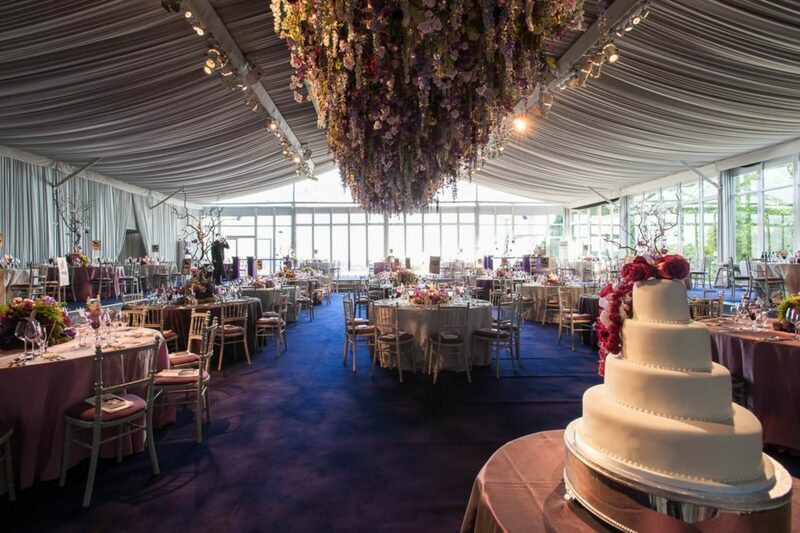 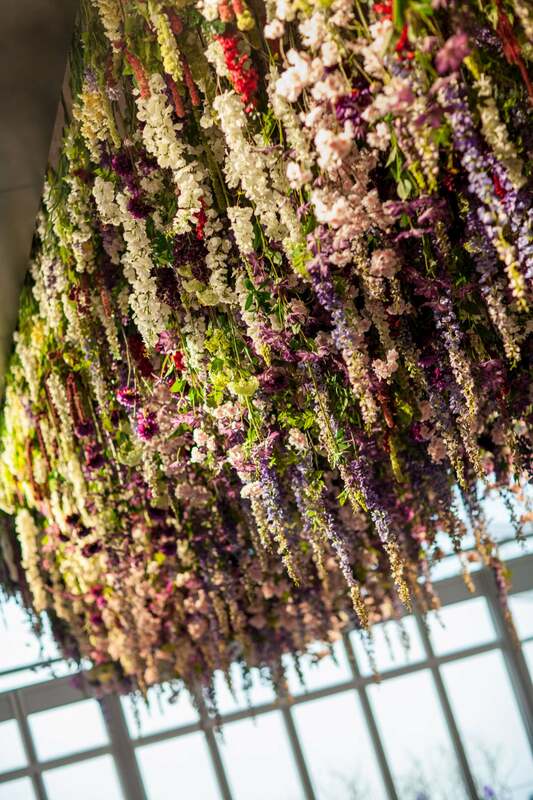 This show-stopping masterpiece held over 10,000 flowers in a mix of rich purples, cerise pink and white, it was designed to be the focal point for this amazing wedding. 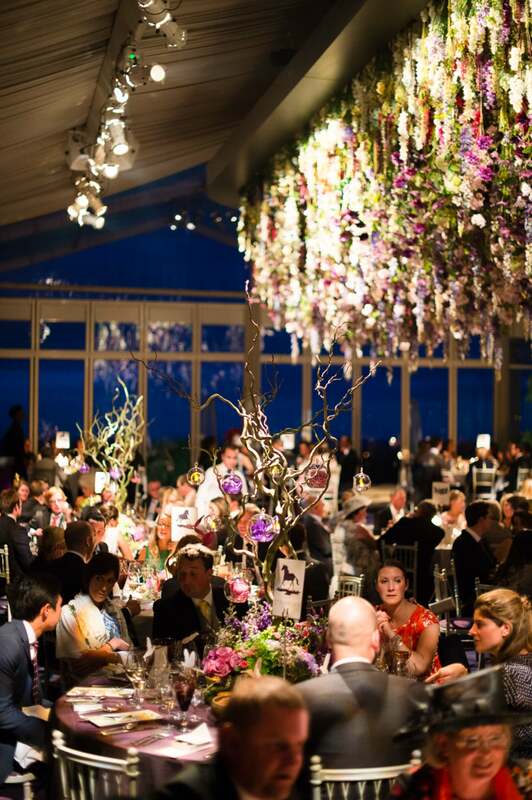 This fabulous couple entertained over 400 people across the two day celebration and each guest left a message of luck and wishes for the future on a huge summer tree at the entrance to the marquee, this was then planted as an everlasting memory in their garden.